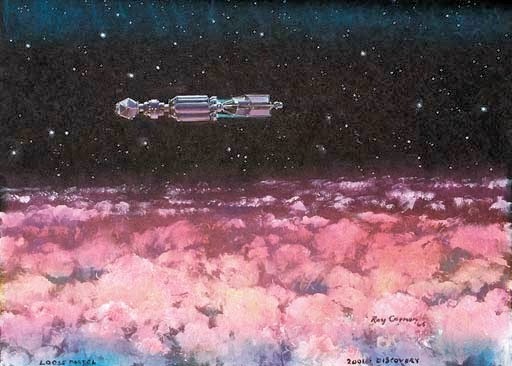 Roy Frederick Carnon, born in England in 1911, had grown up in Isleworth, London, attending art school in Chiswick for a short time. 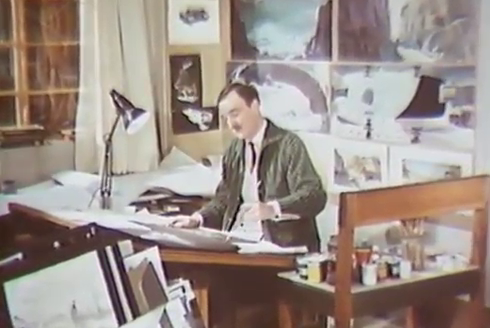 He became an illustrator, working mainly for advertising agencies; during the Second World War, Carnon continued to sketch even when he was working as a fireman during the London Blitz; he subsequently joined the RAF ground crew and was dispatched in Africa, India and the Far East. 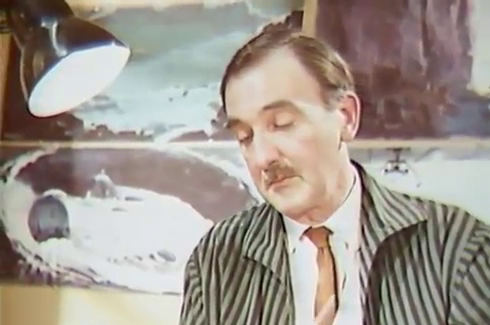 After returning to civilian life, Carnon continued to work in advertising, as well as producing book covers. 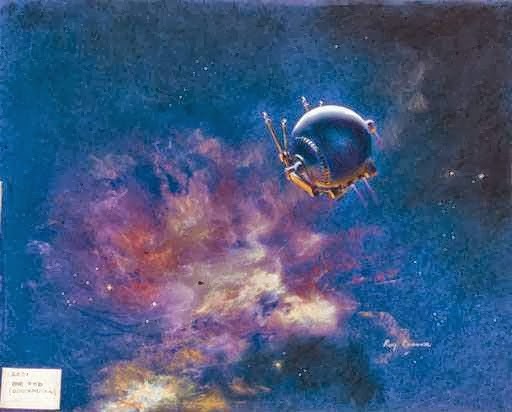 He was responsible for a number of covers for Edgar Rice Boroughs' science fiction novels published by Four Square Books in 1961-65 and illustrated "Famous Fighting Aircraft" for the Collins Wonder Colour Books series in 1964. 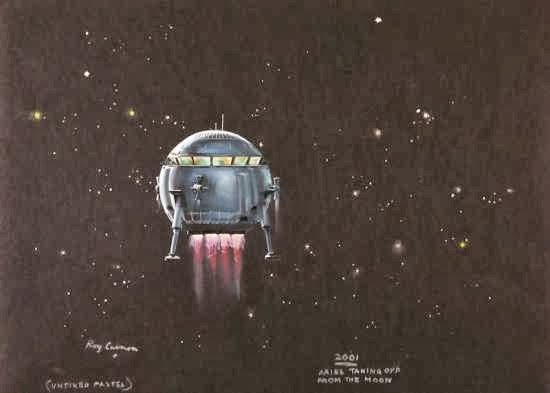 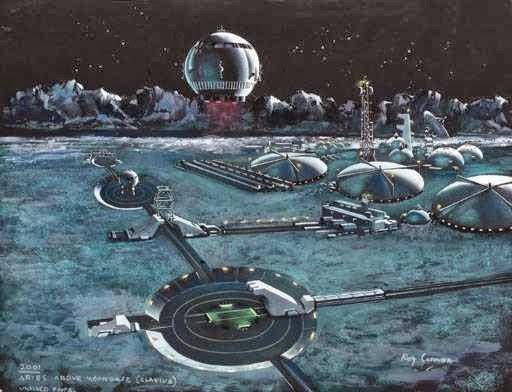 In 1965, Carnon became one of the members of the team responsible for producing concept drawings, sketches and paintings for 2001: A Space Odyssey. 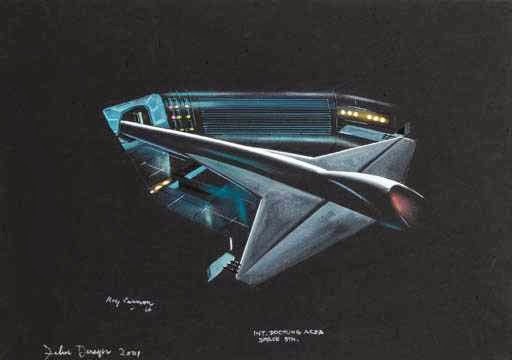 His official designation was 'scientific design specialist and visual concept artist'. 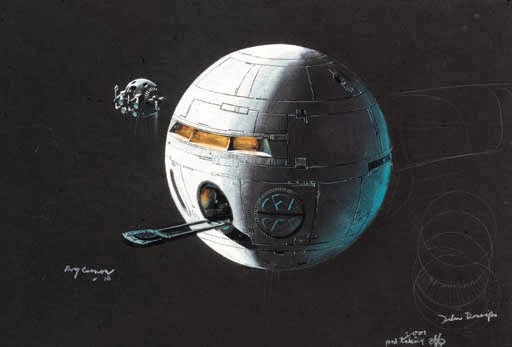 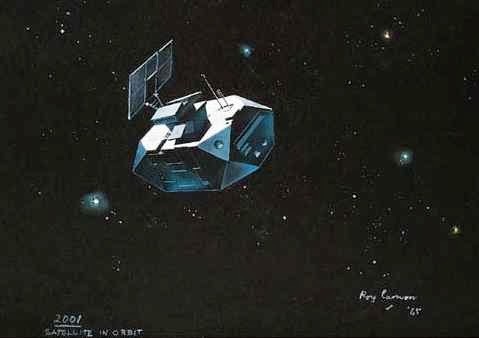 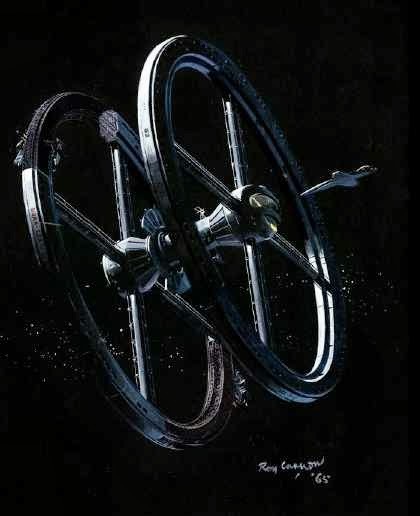 For this he was responsible for visualising space craft, film sets and the iconic 'wheel' space station, that in his rendering is almost indistinguishable from the final product. 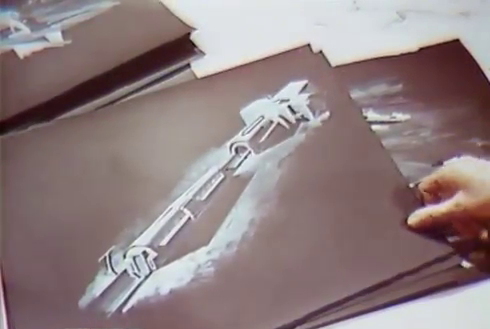 a later design by McKenna is closer to the final product. 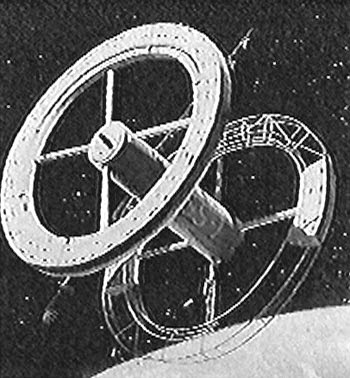 Before Caron, the 2001 pre-visualization team in London included the aforementioned Richard McKenna, who was on board since the beginnings in New York but left in late december 1965; it is to be remembered, though, that the first artist to be officially hired by Stanley Kubrick to work on the film, apparently to work alone and for Kubrick only in New York, was Alex Schomburg, another famous comic book illustrator. 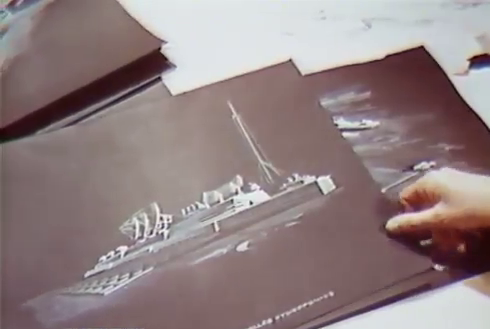 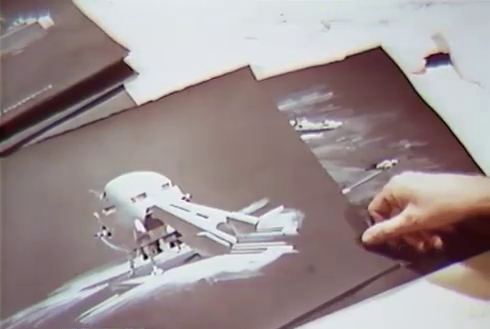 In the Kubrick Archives there is also evidence of corrispondence between Kubrick and the famous painter, designer and illustrator Chesley Bonestell, the 'father of modern space art', in an early phase of the project. 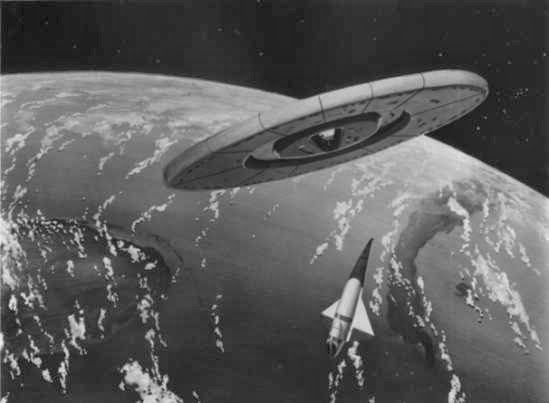 It is still unclear, though, if Bonestell provided any original artwork for 2001. 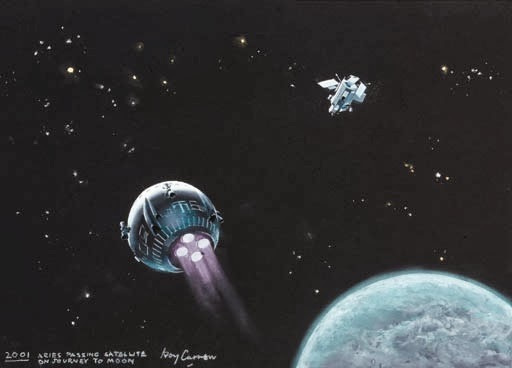 After 2001, his first foray in movie business, Carnon worked on other movies including the Bond movies, Superman, Raiders of the Lost Ark, Return of the Jedi, Ladyhawke, all shot in the MGM facilities in Borehamwood and Shepperton, London. 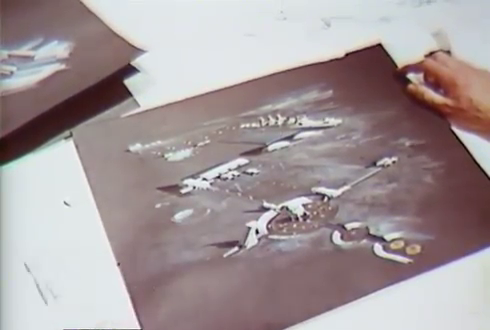 Apparently, the original drawings remained with the artist until his death in 2002 and since then they have been looked after by his wife, Margaret J. Harrold Carnon. 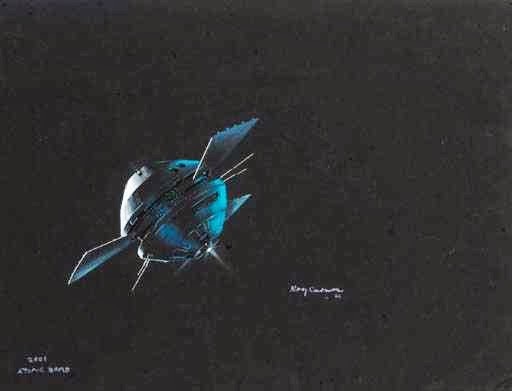 According to the Kubrick archives online catalogue, many arworks by Carnon, including the designs for 2001, are now hosted in The Victoria and Albert Museum in London; this could as well be the reason why his official web site, that promised faithful reproductions of his artwork for 2001 for sale, is still 'coming soon'. 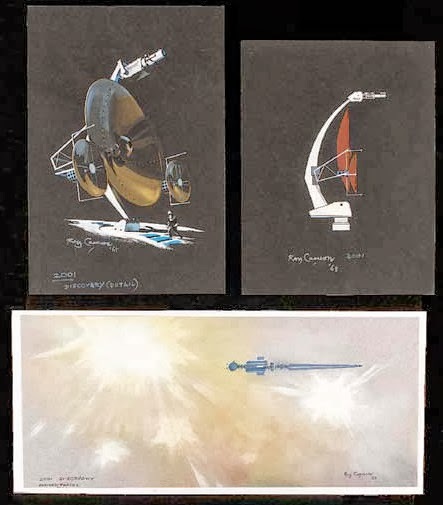 Many original artworks since surfaced and have been sold in several auctions; the bulk of the following gallery comes from such auction web sites such as Christie's. 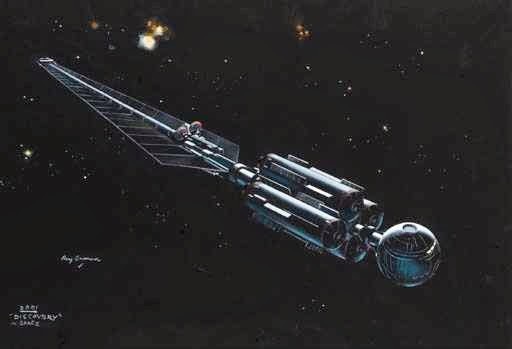 500,000 times thank you (grazie)!